i. The Union Cabinet approved new Umbrella Scheme 'Pradhan Mantri Annadata Aay Sanrakshan Abhiyan, PM-AASHA. ii. The Scheme is aimed at ensuring remunerative prices to the farmers for their produce as announced in the Union Budget for 2018 the announcement was made by the Agriculture Minister Radha Mohan Singh in New Delhi. The Cabinet has decided to give additional government guarantee of Rs.16,550 crore making it Rs. 45,550 crore in total. 3. Pilot of Private Procurement and Stockist Scheme (PPPS). i. To mark the 150th birth anniversary of Mahatma Gandhi, Prime Minister Narendra Modi announced the launch of 'Swachhata Hi Seva Movement'. ii. The mission, which also celebrates the fourth anniversary of the Swaccha Bharat Mission will take place across the length and breadth of the country and will continue till Mahatma Gandhi's 150th birth anniversary on October 2.
i. Unlimit, end-to-end IoT service provider in India announced its partnership with State-owned Bharat Sanchar Nigam Limited (BSNL) to offer comprehensive Internet of Things (IoT) solutions and services to the enterprise customers across India. · BSNL was incorporated on 15th September 2000. · Headquarters of BSNL is in New Delhi. · Anupam Shrivastava is the Chairman & Managing Director and Director of BSNL. i. The Union cabinet approved a proposal for the complete electrification of Indian Railways by 2021-22, reducing dependence on imported fossil fuel and saving revenue for the national carrier. ii. The move will cost the government Rs12,134 crore. The announcement was made by the Railways Minister, Mr Piyush Goyal. · Piyush Goyal is the present Cabinet Minister of Indian Railways. · Indian Railways is one of the largest rail networks in the world with 67,368km of tracks and 22,550 trains that carry 22.24 million passengers and 3.04 million tonnes of freight every day. i. External Affairs Minister Sushma Swaraj left for a two-day visit to Moscow, Russia. During this visit, she will attend the meeting of 23rd India-Russia Inter-Governmental Commission on Technical and Economic Cooperation (IRIGC-TEC). ii. It will be co-chaired by Swaraj and Yuri Borisov, Deputy Prime Minister of the Russian Federation. IRIGC-TEC is a standing body which annually meets and reviews ongoing activities of bilateral cooperation in the fields of investment, bilateral trade and, science and technology, culture and other issues of mutual interest. · IRIGC-TEC last meeting: December 2017, Delhi. i. As per a UN report on the ‘state of food security and nutrition in the world’, the number of undernourished globally increased to 821 million in 2017, which means that one in every nine people, does not have enough to eat. 3. the effects of climate change. i. India, Iran and Afghanistan held their first tripartite meeting in Kabul, Afghanistan during which implementation of the Chabahar port project and a host of other issues including ways to deepen counter-terror cooperation were discussed. ii. The Indian delegation was led by Foreign Secretary Vijay Gokhale while the Iranian team was headed by Deputy Foreign Minister Abbas Araghchi. Afghan deputy foreign minister Hekmat Khalil Karzai chaired the meeting. · Iran Capital: Tehran, Currency: Iranian rial. · Afghanistan Capital: Kabul, Currency: Afghan afghani. i. After launching the world's largest mobile phone-manufacturing factory in Noida in July 2018, Samsung has now opened its biggest experience centre in Bengaluru, Karnataka. ii. 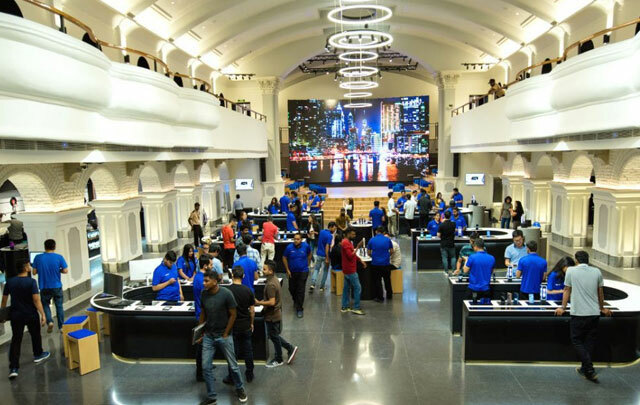 Opera House, the 33,000 sq ft iconic building in the city’s central business district, has been given a facelift to showcase Samsung's mobile devices and other consumer electronic products. It has a service centre for phones and is equipped with high-speed public Wi-Fi. · Samsung Headquarters in: Seoul, South Korea, Founder: Lee Byung-chul. i. Ministry of Steel gave away Secondary Steel sector awards, for the first time, to 26 mini steel companies in recognition of their contribution to the national economy. ii. The awards were given by Union Minister of Steel, Chaudhary Birender Singh, at a function in New Delhi. Twelve companies were awarded Gold Certificates and 14 Silver Certificates for their performance during 2016-17. · India is the 3rd largest steel producer in the world. · Steel contributes to over 2% to India’s GDP and creates a virtuous cycle of employment generation throughout the economy. · Chaudhary Birender Singh is the Present Steel Minister of India. i. Renowned agricultural economist and former PM's Economic Advisory Committee member Professor Vijay Shankar Vyas died after a brief illness. He was 87. He was the director of the Indian Institute of Management (IIM), Ahmedabad, and the Institute of Development Studies (IDS), Jaipur. ii. Vyas was a senior adviser in the World Bank’s agriculture and rural development department. He was also a member of the PM’s Economic Adviser Committee.